Something wonderful happened this week. The temperature began drop just a bit and that crisp New England air felt distinctly like the arrival of autumn. I always have a mixed reaction to the changing of the seasons; I get a little sad putting away the beach chairs and watching the ice cream shops close up their doors. There is no better season though, in my opinion, than fall in New England. Our house, located in a coastal town, tends to skew summery when it comes to décor. In fact, when I recently shared some updates about a big bedroom renovation, I decorated with a summer-escape in mind – I even framed pictures of vintage bathing suits! 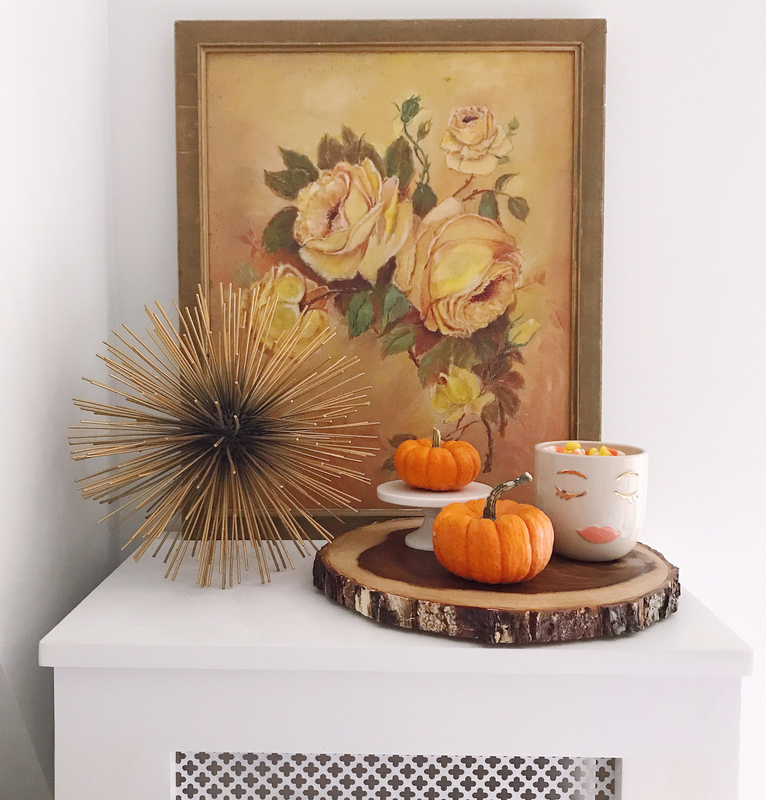 So with the change of the seasons, it felt like the right time to swap out a few accessories to give our space a cozy, autumnal update. I popped into Marshalls for some inspiration while out running errands, and as always, left with a shopping cart full of surprises. 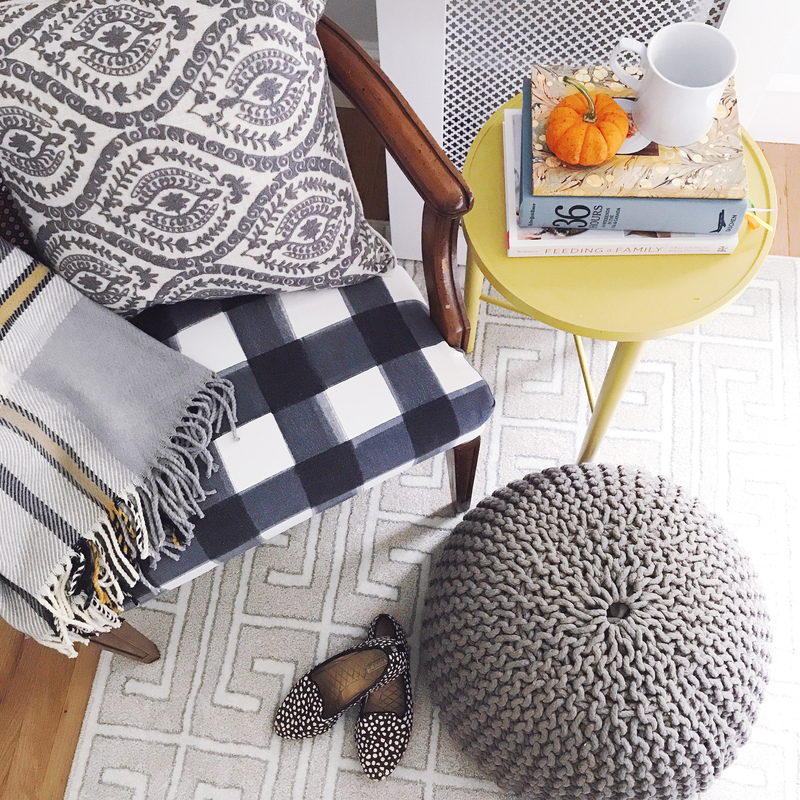 I found the coziest plaid throw for the reading nook area in our bedroom, and used that as starting point for my autumn-update! I love that it looks like a rich wool throw, but it’s actually way softer (and the price tag was amazing too – under $20!). I found a few more fun accessories at Marshall’s to finish off the space; a crewel work pillow, some rustic wood accessories, and mixed in my own pieces like a vintage painting, books, and touches of brass. My favorite find of the day? 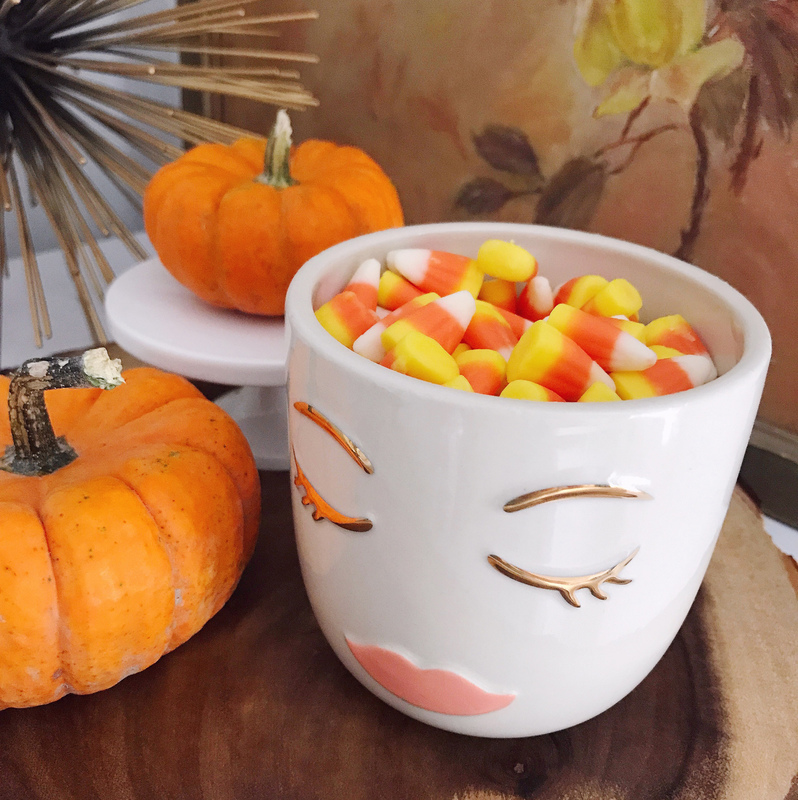 An adorable pot with a sleepy little face on it – a steal at $4.99 – that I promptly filled up with Halloween candy. Can’t wait to crack into a book with a cup of coffee in this new cozy little nook! 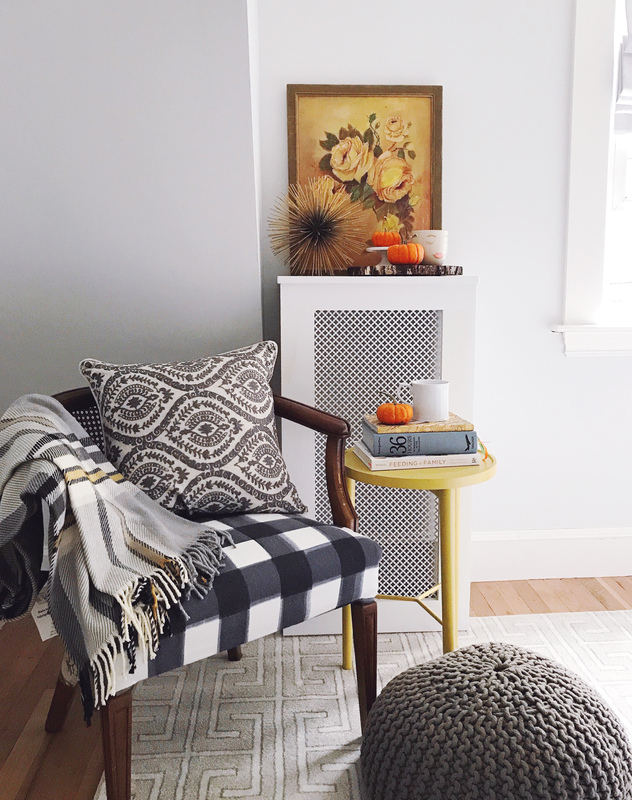 Head over to the Marshall’s blog for more details on my finds and this reading-nook updated. Chestnut Praline Frappes. Loaded Halloween Crispy Marshmallow Treats. 2 Responses to "A Cozy Fall Reading Nook." LOVE that candy bowl! What a steal.